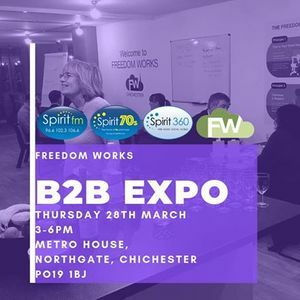 Freedom works is holding its Launch event on the 28th March 2019. 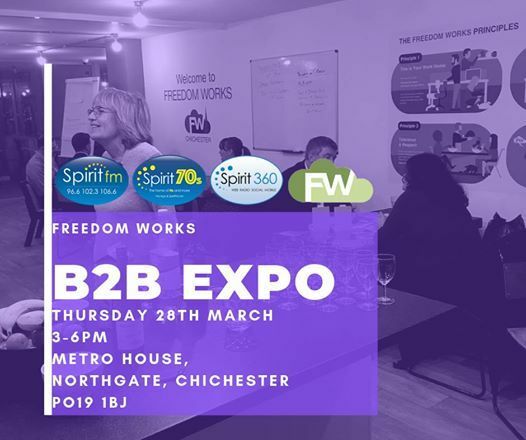 The event starts at 3pm with a ‘tabletop’ business to business expo, perfect for networking and meeting fellow businesses, with our official opening at 6pm. Everyone is welcome. Tables for the expo are bookable in advance and there is no charge, but we are asking for a voluntary donation to Stone Pillow, our chosen charity https://stonepillow. org.uk . Please contact aW5mbyB8IGZyZWVkb213b3JrcyAhIHNwYWNl, if you would like to secure a stand for the event. There will be refreshments, wine and nibbles available all afternoon so please do come and celebrate the official opening of our lovely space in Chichester.